The American Academy of Emergency Medicine (AAEM) is a non-profit democratic organization of 8,000 members. The Academy supports the establishment and recognition of emergency medicine internationally as an independent specialty and is committed to its role in the advancement of emergency medicine worldwide. AAEM has been co-sponsoring international meetings for many years promoting the specialty of emergency medicine and offering a wonderful opportunity for academic and scientific exchange. AAEM is also partnering internationally to offer academic and scientific exchange across the world. AAEM entered in to a 10-year agreement with the Sociedad Argentina de Emergencias (SAE) in offering a jointly sponsored biennial meeting of the Inter-American Emergency Medicine Congress (IAEMC). In 2012, AAEM and the Korean Society of Emergency Medicine (KSEM) held the first Pan-Pacific Emergency Medicine Congress (PEMC) in Seoul, South Korea. To learn more about AAEM’s mission, please see http://www.aaem.org/about-aaem/mission-statement. The GREAT Association is an International Network of multidisciplinary experts operating in the management of acute clinical conditions in the field of Emergency Medicine and Critical Care. The aim of the Network is to build a new way in doing research through the concept of translational medicine. This is the emerging view of medical practice and interventional epidemiology. It integrates research inputs from basic sciences and political sciences to optimize both patient care and preventive measures which may extend beyond the provision of health care services. Moreover, one of the main objectives of GREAT Association is to standardize the clinical and organizational system approach in acute conditions disease management all over the world, with the concept of globalization medicine. 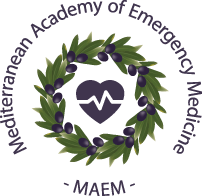 The Mediterranean Academy of Emergency Medicine was established in 2014 for the purpose of promoting, securing and protecting excellence and integrity of emergency medicine in the Mediterranean region. Its mission encompasses the practice and management of Emergency Medicine as well its education, training and research. MAEM defines the Mediterranean region as any country or region contiguous with the Mediterranean basin. This includes all Europe, Turkey, Israel, and the Black, Adriatic and Aegean Seas, and the Arab North African and Middle Eastern Countries.